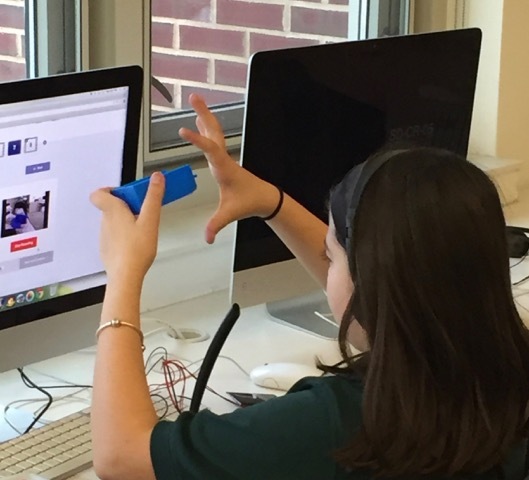 This student at Rumson Country Day School in New Jersey shares her 3D printed project with her partner in Bangalore via video message exchange as part of LUV’s Global Inventors course. It was the last day of the Level Up Village Global Inventors 3D printing course I was teaching, and as I was watching the students helping each other tighten the switches on their solar flash lights, the words 21st Century Connections came to mind. In most situations, when you teach a Level Up Village (LUV) course, you are teaching something brand-new to your students. Not only that, you may be the first teacher in your school to offer a class that truly embraces 21st Century learning initiatives. 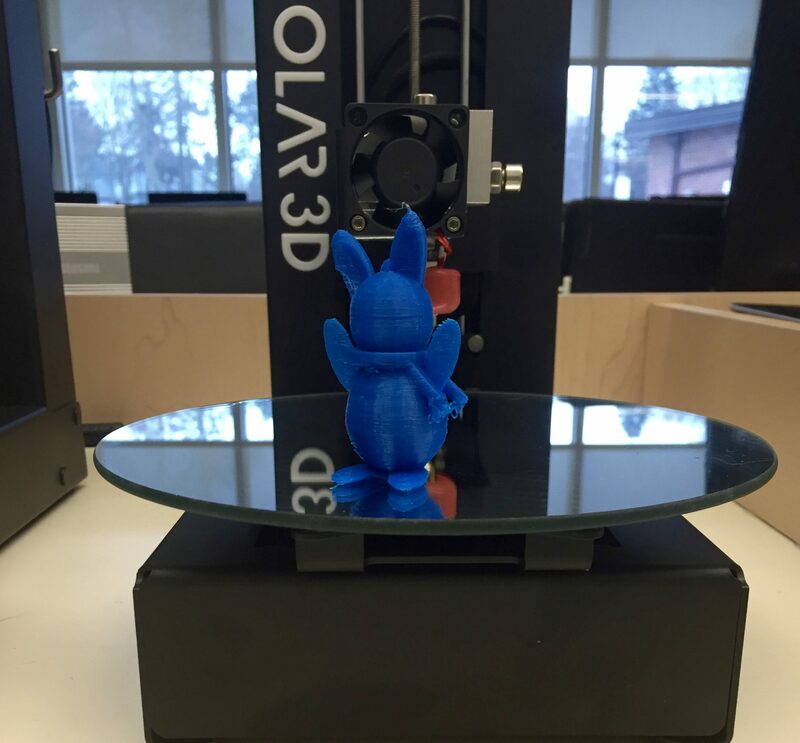 If you’re teaching Global Inventors, you’re also the conduit to the cool 3D printer that your school received for signing up, or perhaps you’re the first to be teaching Scratch, a beginning coding language, in LUV’s Global Video Designers. It is new for you, too. LUV provides teacher training ahead of the course along with all the support materials you need. Issues will arise and that’s when you connect with the awesome LUV support team. They will be there for you via phone, email, or video conference, if needed, and in a timely manner. Be ready to learn from your students, too! They will dive right in and try things you never could have imagined. For instance, in Global Video Designers course this fall, I learned from one very creative 5th grader how to make the Pong-style game they were coding more visually appealing. She showed me how to code the game to score based on color instead of the object. She then went on to show the entire class how to do it. I have since incorporated this knowledge in a class activity I designed for a kindergarten coding activity in Scratch during the school day. Watching students work together to help each other solve problems is one of my favorite parts of teaching a LUV course. Sometimes I don’t know how to answer a question so I present it to the class as a challenge, and soon enough someone has figured it out and shares it with the rest of the class. In one of the first lessons in Global Inventors, students use computer aided design (CAD) to create toys like this one. Since teaching the Engineering Design Process is an important part of the Global Inventors course, I print as many iterations of designs ahead of time so I can help students figure out what design changes they should make. 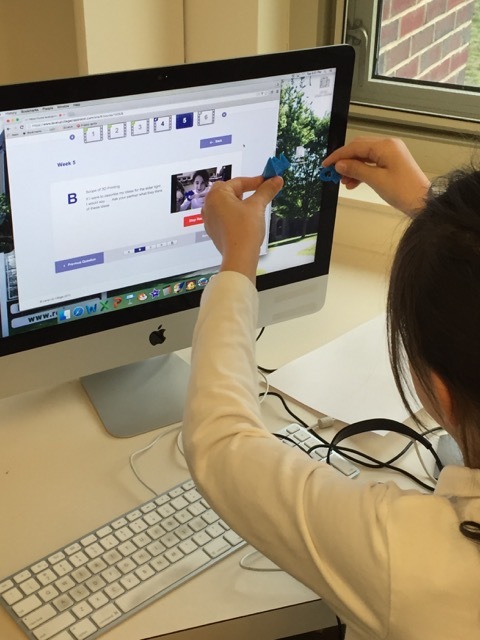 Then students work to create a solution using Tinkercad, and before the end of class, we download their designs and print them out for the next time we meet. The students can’t wait to see if their designs worked. For our final project, my class came up with several good designs but decided that one was the best. It still needed one more tweak but another student figured that out and fixed it. This process of give and take truly underscored the importance of teamwork and collaboration. This student records a video message to her partner in India. In addition to discussing their 3D projects, students share information about their families, their interests and daily life in each of their countries. Meeting a class in another country is another exciting aspect of a LUV course because you don’t know in advance how your students will respond or what they will gain from this experience. 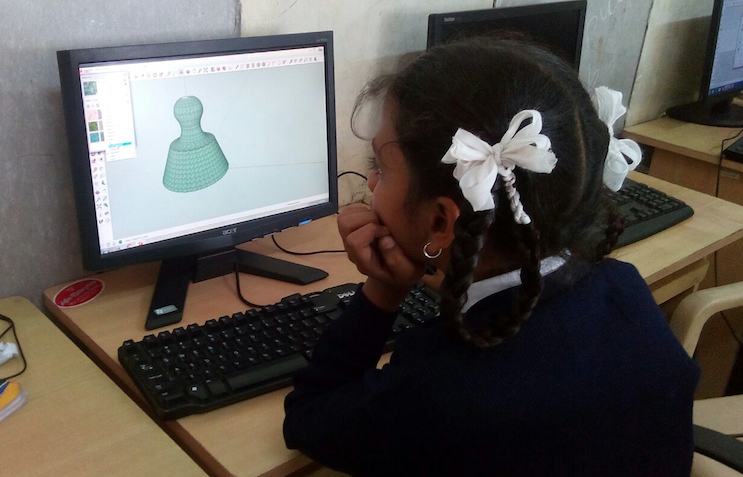 This girl at Ekalavya School works on CAD as part of a Global Inventors collaboration with a partner at Rumson. Global collaboration on STEAM projects is an important goal of all LUV courses, but students are connecting in other ways, as well. Watching them ask and answer the most basic questions such as, “What’s your favorite food?” or “How big is your family?” builds cultural and social awareness for the U.S. students. It amazes me that after the second video, all the students remember their partners’ names and how to say hello in their language. And by the end, your students leave knowing something of another culture other than their own that they didn’t know before. Teaching LUV courses at Rumson Country Day was an easy decision to make. LUV provides the idea, a full curriculum, a global partner and support. All I had to do was get permission from my school administration to run the after school class and students to take the class. It’s the best kind of professional development for a teacher, while providing students the opportunity to make connections that spark new interests and give them important skills that will help them succeed in life. Click here to see recent press about Rumson Country Day School’s Partnership with Level Up Village. Dana Feldman: Dana is the Technology Coordinator at Rumson Country Day School in New Jersey.